Today is Earth Hour. More than an event, it is a global movement. 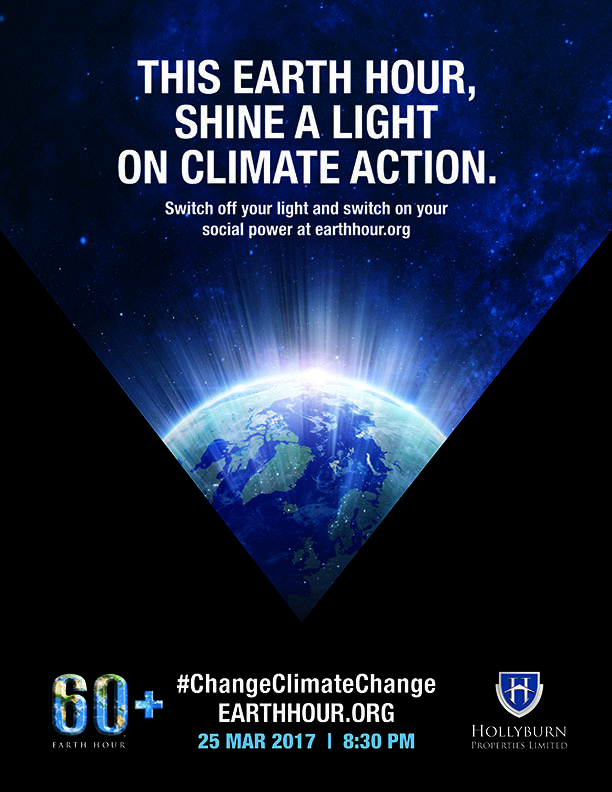 Coordinated by the World Wildlife Federation and other volunteer organisations, Earth Hour’s mission is to shine a light on climate change. Over the last 10 years, participants have achieved massive environmental impact by reducing their energy consumption on this day for one hour. Today is your chance to #ChangeClimateChange by switching off your power for 1 hour! The event takes place world wide on Saturday, March 25 at 8:30pm.